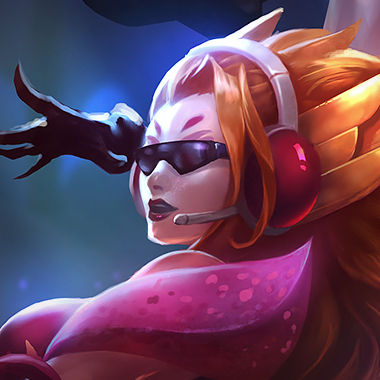 Zyra is a high damage support with a focus on CC and harassment. She is immobile and squishy as most mages tend to be and as a result is a strong focus target for assassins looking to snowball. 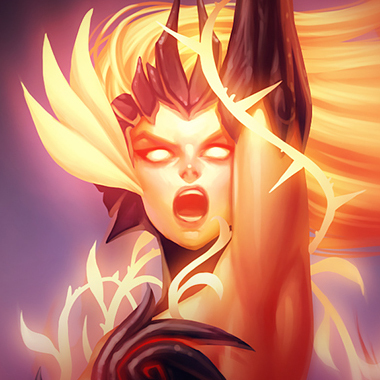 Zyra has the ability to change an entire match, with the right decision making thanks to her damaging, heavy CC AOE ultimate and her relatively powerful spitting plants that are especially painful early. 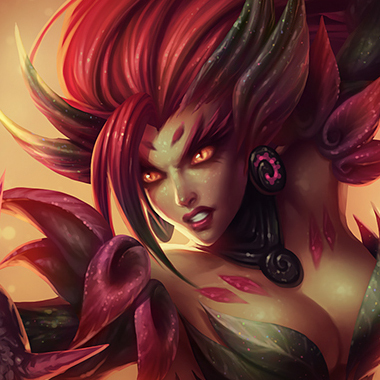 Seeds spawn around Zyra periodically, becoming faster with level and lasting 45 seconds. If an enemy Champion steps on a seed, it dies. Thick vines spread through the ground and explode into spines, dealing magic damage to enemies within the area. If cast near a seed, Deadly Spines grows a Thorn Spitter plant, which fires at enemies from afar. Zyra plants a seed, lasting up to 60 seconds. 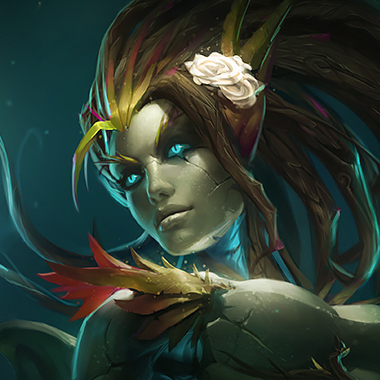 Deadly Spines and Grasping Roots cast near seeds will turn them into plants who fight for Zyra. Additionally, Rampant Growth passively grants her plants improved maximum Health. 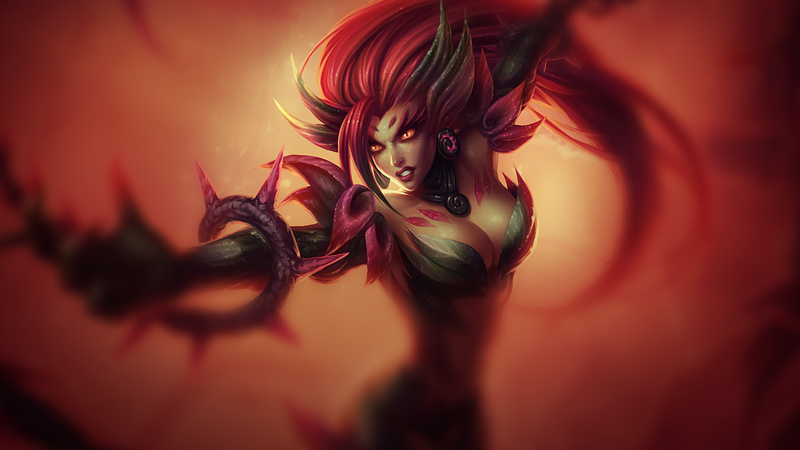 Zyra sends forth vines through the ground to ensnare her target, dealing damage and rooting enemies they come across. If cast near a seed, Grasping Roots grows a Vine Lasher, whose short range attacks reduce enemy Movement Speed. Zyra summons a twisted thicket at her target location, dealing damage to enemies as it expands and knocking them airborne as it contracts. Zyra is as fragile as the plants she loves so much. If she ever dares to misposition without vision, you and almost your entire team can kill her. Stay out of the Fog of War against a Zyra team. You might end up getting CC'd for days. You can bounce your Double Up's off of her plants, leading to her taking extreme damage from simply standing near them. 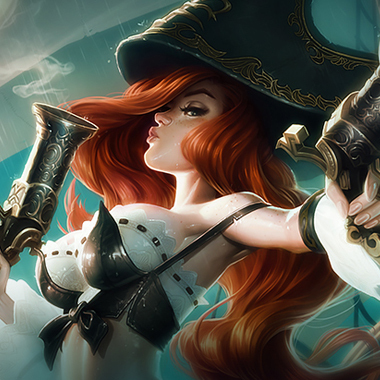 She's also too immobile to avoid a Make It Rain + Bullet Time Combo without her flash, making her an easy pick for you post six, as long as the other AD Carry isn't pressuring you too hard. She's food for you if you see her at or after level six with her grasping roots on cooldown. 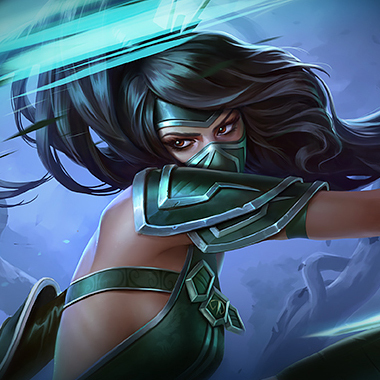 She can't run from you with her lack of mobility and easily dodgeable CC and your dashes. You're her worst nightmare. 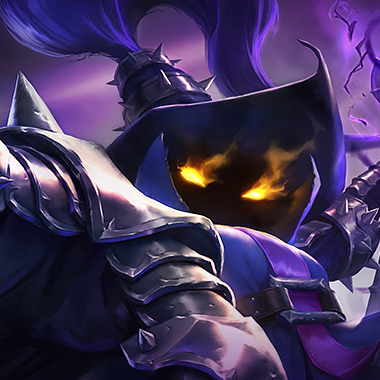 An uncommon pick in both support and mid these days, but Veigar has the ability to abuse her lack of mobility with his stun zone, and if she's mid he can abuse her tendency to build AP with his ability to turn an opponents AP back onto them. You're good to get some minor magic resist if you're having a hard time laning against her, since Mercurial Scimitar isn't such a ridiculous first item anymore. Still, if you can avoid taking enough damage to warrant that, that is even better. Mitigating her damage with good positioning and maybe an extra dorans blade is a better way to be, and doesn't put you so far behind on your core items.